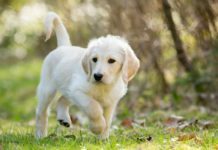 Looking for the best male dog names? Then look no further! But before we get stuck into the dozens of possibilities, I bet you will want to know what everyone else is selecting right now? Here are the rest of the most popular boy dog names this year! This top 50 selection came courtesy of the 2019 Dog Names Survey. 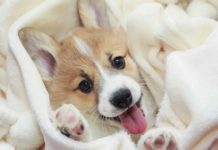 Is our list missing your dog’s name? You’ll be delighted to hear that you still have the chance to add it on! One of the most fun ways to pass the time while you await the arrival of your new rescue dog or tiny new puppy? Wondering what he will be like. And thinking about what to call him, of course! Maybe you already know exactly what kind of names you like? Or perhaps you chop and change your mind on a daily basis? Whichever camp you fall into, you’re bound to find some boy dog names to inspire you in these lists. 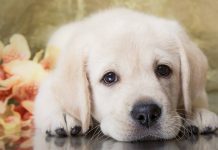 Do you like to capture the zeitgeist, or do you prefer male puppy names which have stood the test of time? As you can see there’s a real trend towards giving our dogs human names. It’s a logical progression from thinking of pets as part of the family. A way of saying that in our hearts, our dogs have the same status as people. Boy pet names are also a fun chance to use human names that are a bit more unusual. We had some great human male dog names in our Dog Name Survey, too. Coming up with a one of a kind name for your dog can be a real challenge. You never know when an obscure name is about to surge in popularity, or if someone else on your street is about to have the same flash of inspiration. One way to to find cute boy puppy names is to pick a theme you like and see where it leads you. 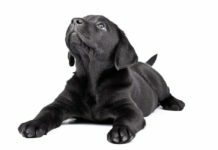 Will your dog be the baby of the family even when he’s fully grown? 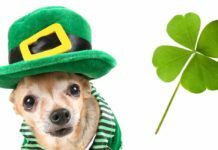 Is your dog going to be a legend in his own time? Obviously what’s cool is a matter of taste and perception, and I’m not saying that I’m an authority on what definitely is cool. There were some seriously ice cold names in our Dog Name Survey, as well. If those don’t appeal check out our Cool Dog Names page for over three hundred more ideas! There seems to be a trend at the moment for naming animals after other animals. For example the A Cat Called Mouse story books, and Rhino the hamster in the Disney film Bolt. Do you have a hunch that your dog will be a loyal, reliable and upstanding member of the canine community? TOP TIP: If puppy time is approaching, don’t miss out on our big guide to potty training! And here are some great male dog names that only came up once in our massive dog names survey. Dogs have amazing amounts of energy, stamina and muscle. Was your pup the biggest in the litter? Or are you renaming a rescue dog who’s already head and shoulders above his friends? That’s just a taster of course! We have three hundred and fifty more big dog name ideas just waiting for you! Are your puppy’s parents petite? Is your puppy more of a mini than a max? Maybe your dog is going to fall at the other end of the scale, and there’s nothing wrong with that. They say that the best things come in small parcels. Some dogs are born great, and others have greatness thrust upon them. Our Dog Name Survey through up some other famous names, too. Although these weren’t originally used on dogs…. The best name for your dog is one you fall in love with, and don’t mind shouting out in public. Wherever you get your inspiration from, finding the perfect name for your newest family member is a satisfying moment. What are your top male dog names? What is your boy dog called? If you had to name a new dog tomorrow, what would you call him? Is it nearly puppy time? 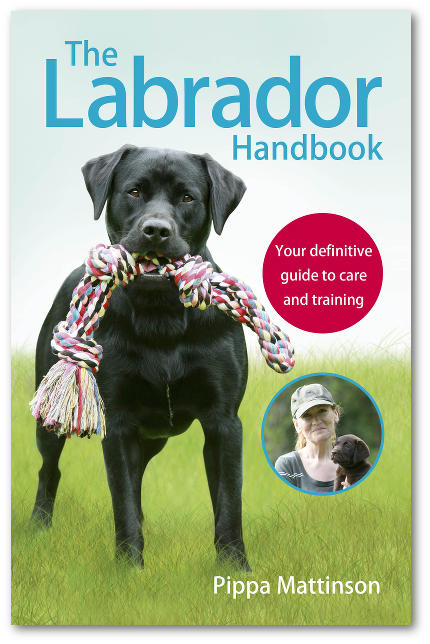 We think you’ll love The Happy Puppy Handbook. Too, it’s a complete guide to caring for and raising a happy, healthy little dog. My teacup yorkie is Cookie. My male black lab is called Coal, due to colour and our coming from an area known for mining. Our female black lab is called Agatha but often shortened to Aggie. Huge Christie fan. I have a 8lb toy fox & yorkie mix, named Motown. He has the best personality and is a cuddler. We got two dogs one of our family and one for my uncles family and their names are Texas, Ranger. I love are new Texas and he gets to see his brother Ranger all the time lol. I had a chihuahua and Charlie spaniel mix named Bubba, and a scooter, one of them got killed by another dog and scooter went missing November last year still looking for him. My 17 werk old fox red Lab is called Rua (rooah) – didn’t see it on list lol. We chose the name METRO for our black lab. Because like the dog, the local police department is also black and white lol we also have a chihuahua we named BOWSER from Super Mario Bros .
My dogs are mini-schnauzer s. They are Cisco Kidd and Pancho Clawzz. I have a little baby boy pit bull he Black with a little white on him what do I call him? We’ve called our Fox Red Lab, Eden. The day after Christmas (in Sao Paulo, Brazil, mid-summer) my wife and mother-in-law saw a battered black lab (the taller kind) dying in a supermarket parking lot. They picked him up and took him to a local vet who rehydrated him, and patched him up the best she could. Two more days on the street, and he was a goner, she said. They decided to bring him home, where he slept for a few days, and began to show signs of recovery. When you take in a strange animal from the streets, any number of bad things can happen. Diseases, behavioral problems, you name it. None of these things happened. He was already house-trained, and knew some commands (in Portuguese, of course). We named him Barack, which means ‘gift from God’. We were certainly his gift from God, and it turned out, he was ours, too! Now, he’s 8, and lives a pretty good life in the USA. A fly person who beats down all haters. He is one of 10 puppies and his name color when born was Blue so he learned Blaise very easily. I quite like “Raven”. Sounds quite muscular. I like “Logan” too. It goes with any breed. It is a Good blog. Found some good names. Thanks to he Author. My dog’s name was Brownie. Lost her couple of months back. Still searching. 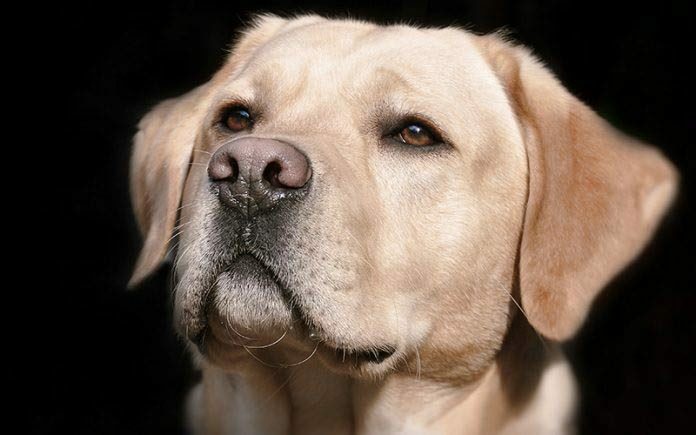 Our beloved yellow Lab was called Fletcher, but we also called him Eddie, FD, FletchEdy etc. My rotti/lab rescue’s name is Crosby. Then I got a rotti puppy and named him Nash. 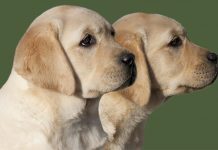 Retrieving Freedom Inc, an organization that raises, trains and places service dogs with disabled veterans and children living with Autism. My new puppy’s name is 2nd Chance, (call name Chance) because that is what he’s going to give a special person. My chocolate lab’s name is Havouc, because that’s what labs create! Our big, rangy boy is called Reno; my daughter named him after a Final Fantasy character. And my neighbor’s golden retriever is…what else?…El Dorado. Wanting to name mine Spock, RIP Leonard Nimoy. Was also considering Nimoy but hubby requires one syllable. We love the name Davey Crockett for our male dogs. We had our Lab/Rot who was Davey I and three weeks after he left us, we got a Lab/Great Dane 9 month old puppy who was Davey II. I want a Davey III when we get our Lab/Great Dane puppy. My big chocolate lab’s name is Gus, or Guster when he is behaving. MY boy’s name is Judge. Almost went with Jethro but he said he liked Judge more. Ripley was named after Sigourney Weaver in the Alien movies. I have a Doberman and his name is Percy, but my family doesn’t like that name so we are going to change it, but don’t know what to change it to. Any ideas? My neighbor’s dog’s name is Percival and they call him Percy for short. I had a black Lab named Shadow and I have a yellow Lab named Hunter. But I also have a Black Lab named Canyon which I never hear of. Our beloved yellow lab was Ozzy after Ozzy Osborne. My two male Labs were Otis, and Pilot. Two great boy dog names I didn’t see on your list. Our Rotty mix is named WRECKS. We are getting a Jack Chi this weekend and looking for a cute name. Please don’t name it Barney unless for some reason it is purple.